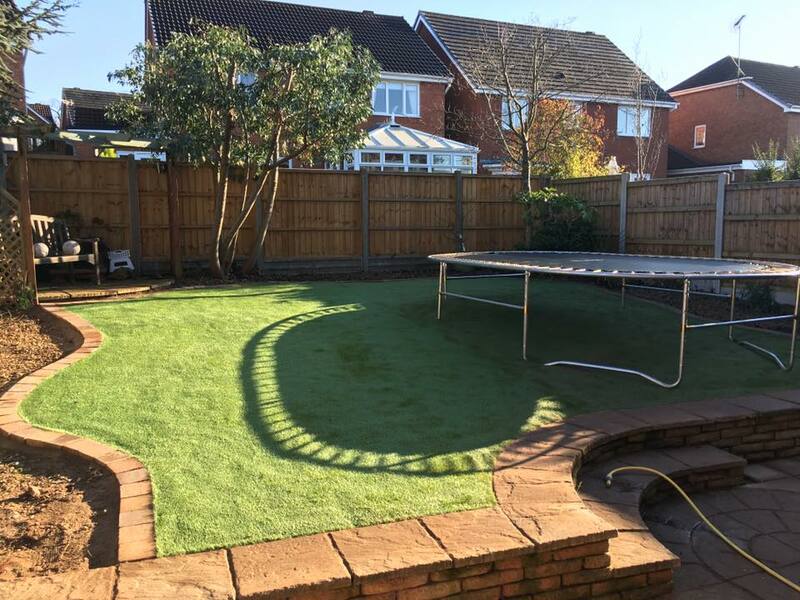 A new customer asked us to clear their garden for them and put in some new grass. 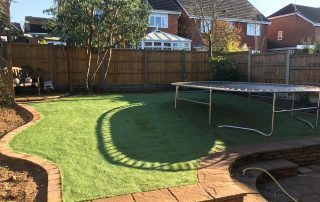 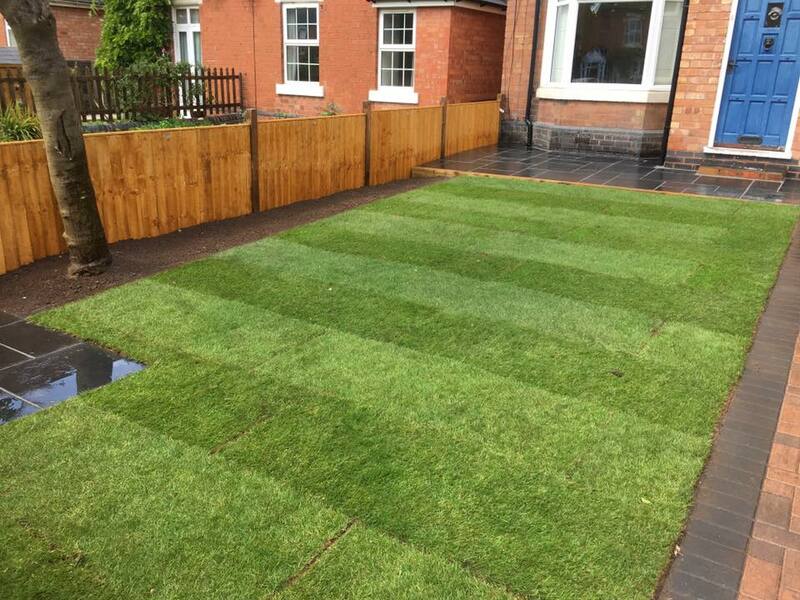 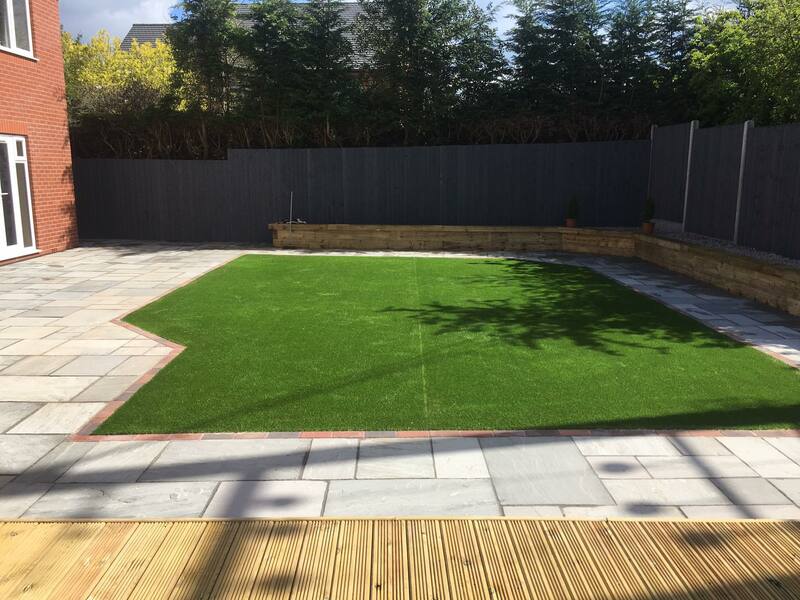 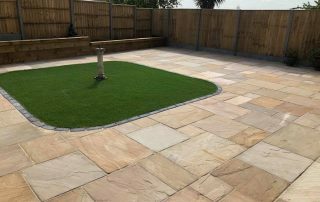 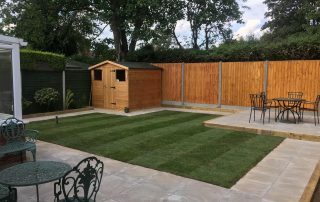 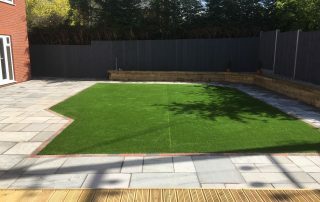 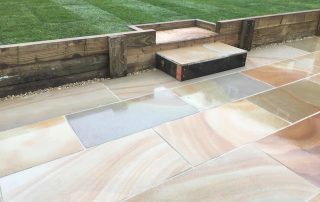 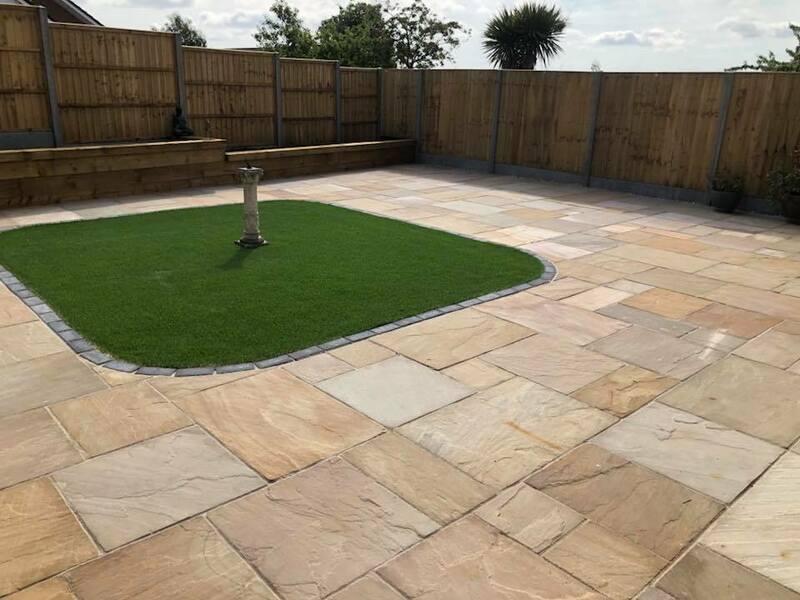 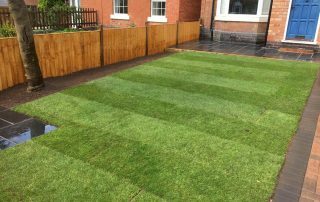 We cleared site along with Steve’s rubbish removals, rotorvated ground, installed edging blocks and laid 56m² teal turf. 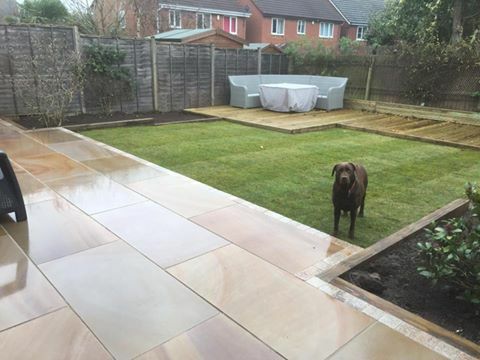 Full garden front & back landscaping. 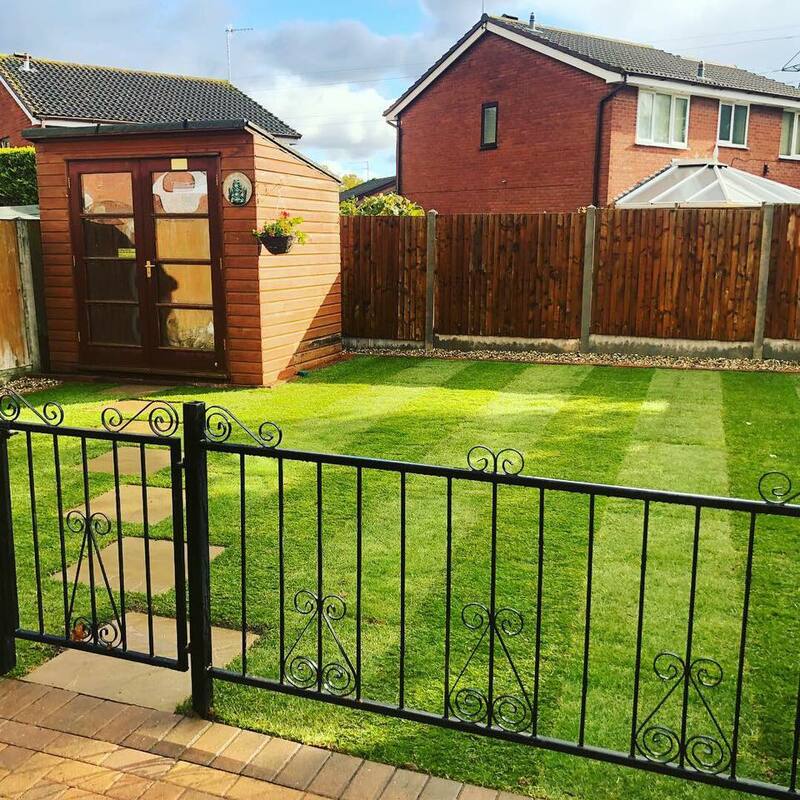 New fencing, patio, side passage, sleeper beds, driveway all completed. 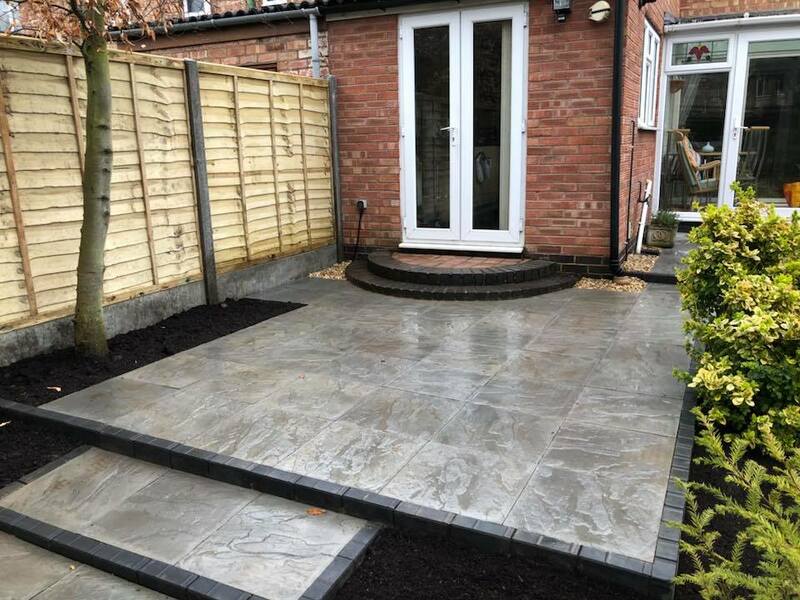 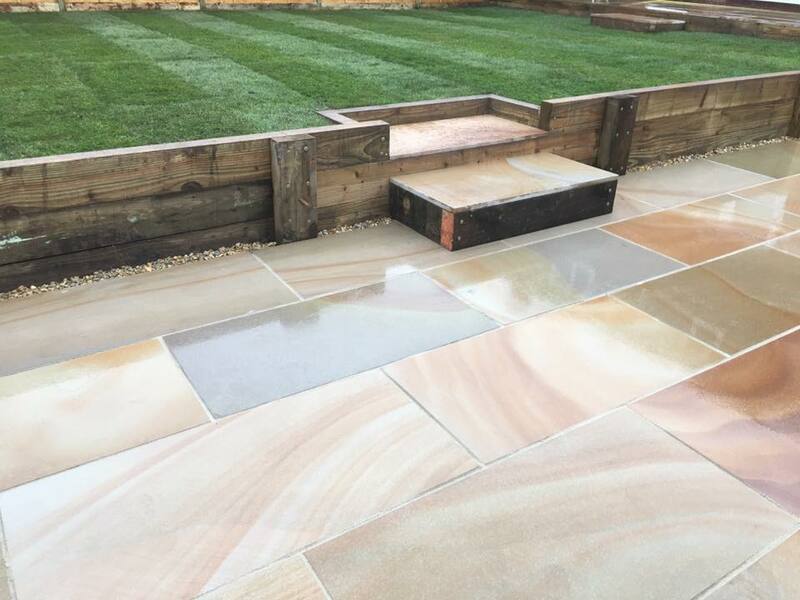 A customer asked us for a new patio around existing steps in Ryton 450mm grey slabs and a new fence put in. 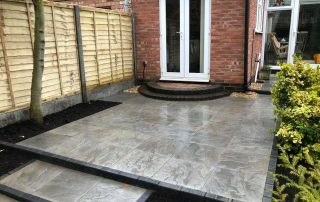 A job done just before Christmas for a customer. 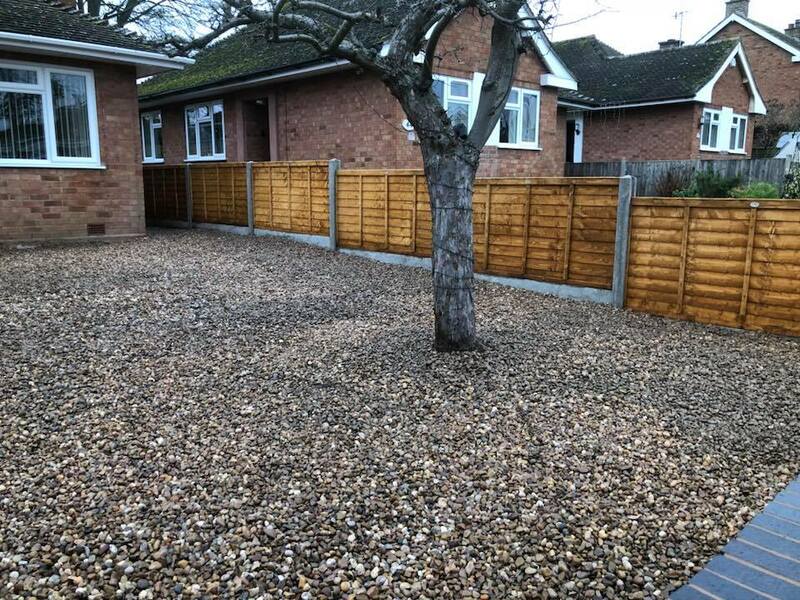 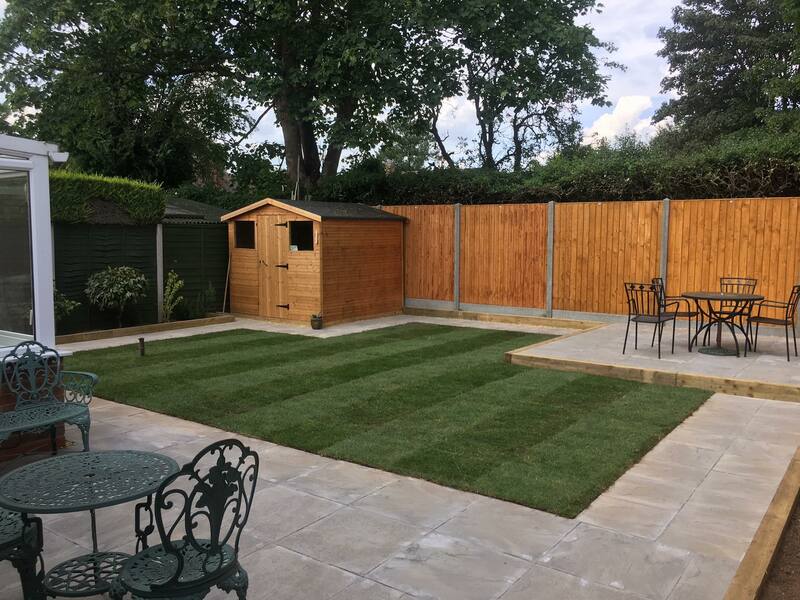 Remove grass, hedges etc and replace with 20mm gravel for a low maintenance area along with the removed old fence and replace with new panels, concrete boards and posts. 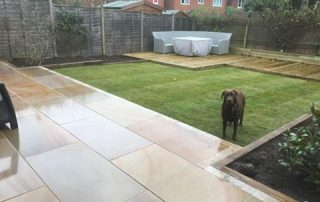 A returning customer asked for the front garden to be landscaped alone with the back. 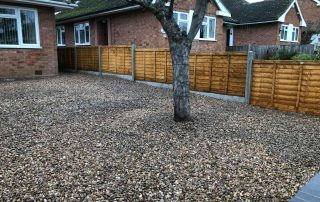 Both front and rear we laid truslate black areas along with edging blocks. 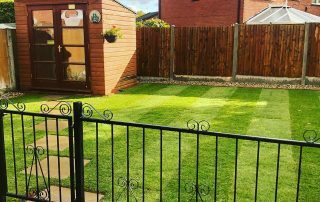 We laid them new turf and replaced the fence panels at the front.